With the snow and its accompanying biting wind of recent weeks abating this bright Sunday afternoon proved to be a perfect time to visit the Auld Kirkyard. 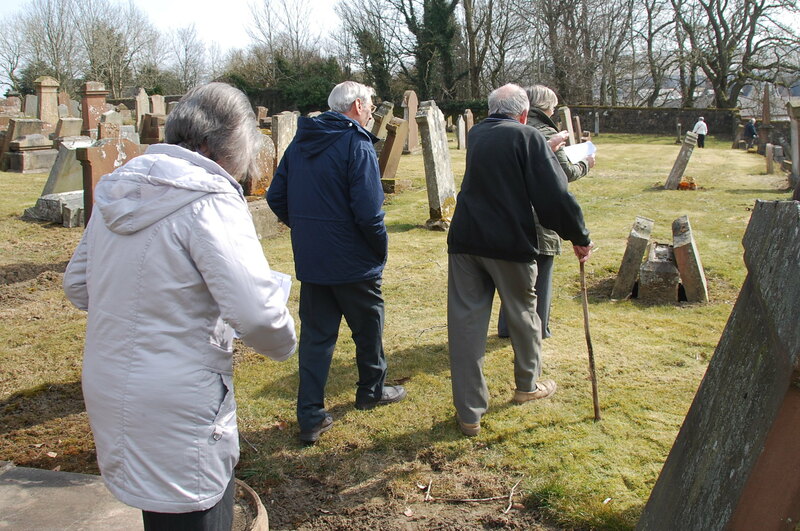 Members of the New Cumnock Parish Church , New Cumnock History Club and New Cumnock Liaison Group joined together in their mission to seek out the headstones of ministers and soldiers resting or remembered here. 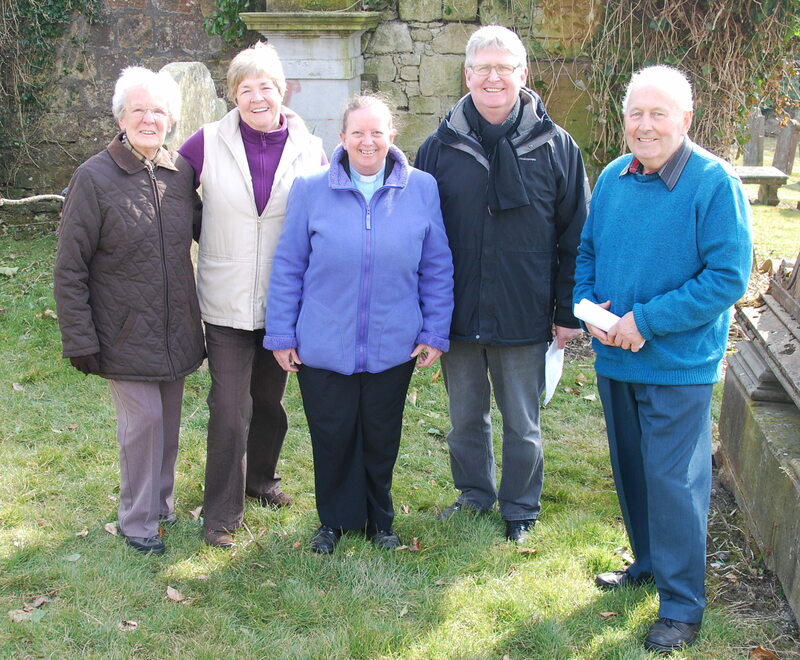 Our ‘Time Team’s’ activity soon attracted the attention of a passer-bye out enjoying one of the many lovely local walks and soon we had another pair of hands and eyes to help us in our cause. 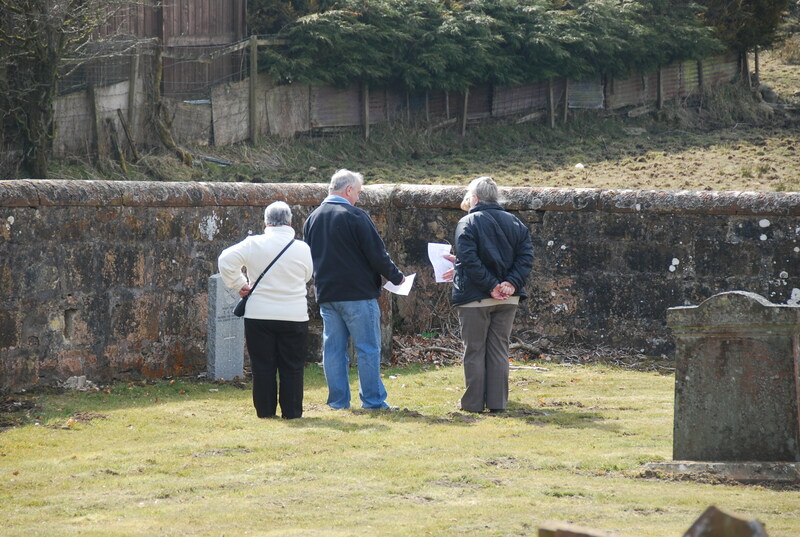 We split into three groups, each one armed with a sketch map of numbered lairs and set off to locate the headstones, note their condition and photograph them. Are you sure this is the right one? 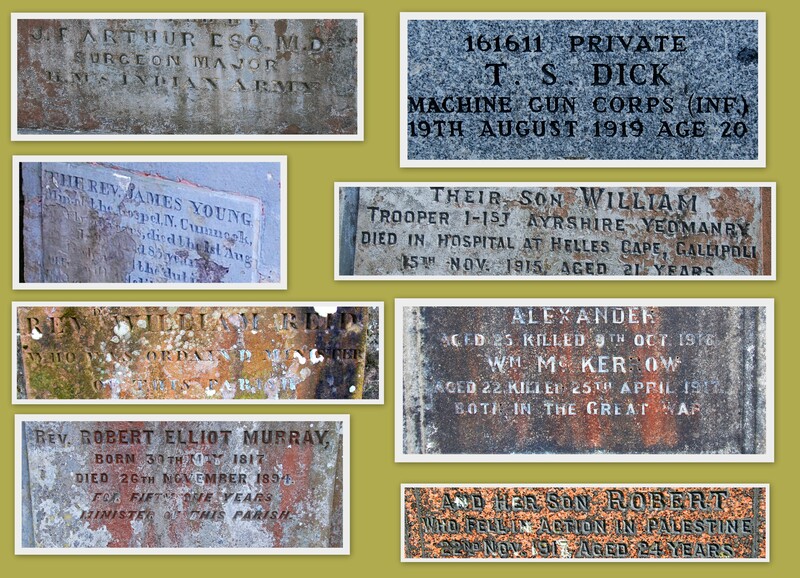 We successfully tracked down the headstones of six ministers and sixteen soldiers, somequicker than others. Many were legible while some were damaged or overturned but each made us stop and think. 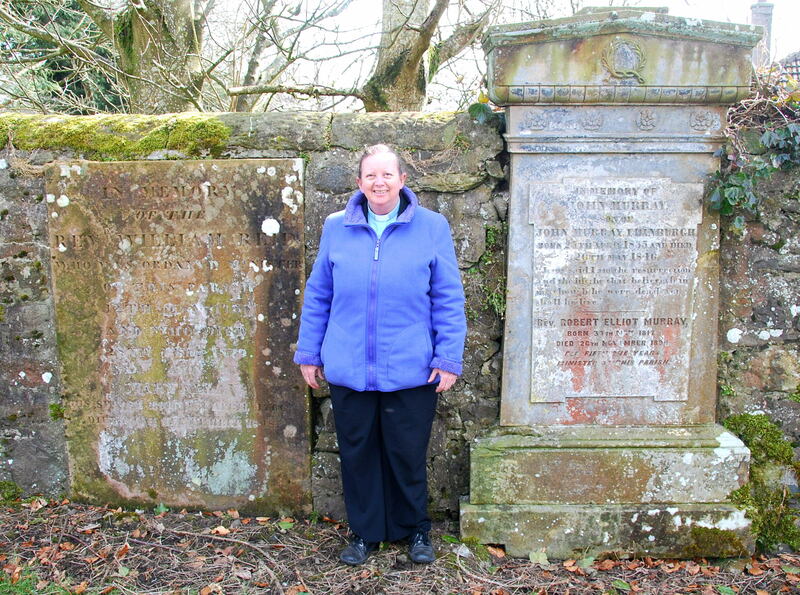 During our search, other headstones caught the eye, carrying the surname or a farm name that whetted our appetite for further visits to our Auld Kirkyard. 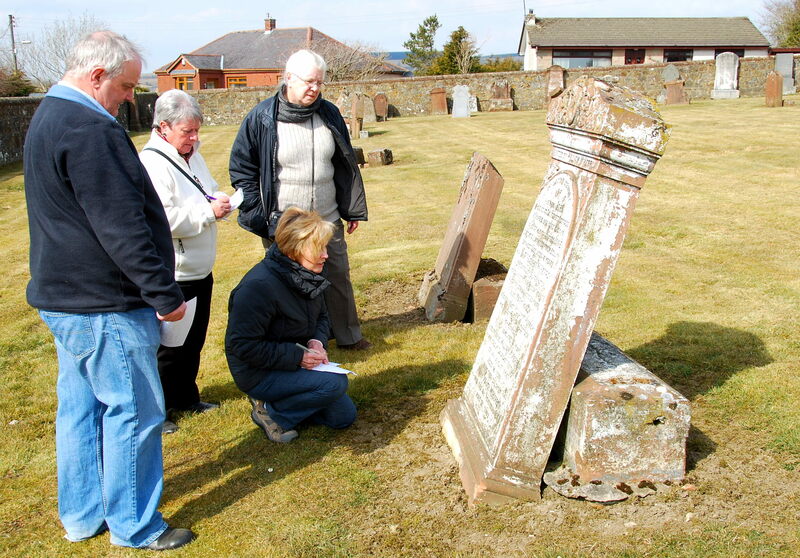 This entry was posted in Headstones and tagged Heritage, Heritage Lottery Fund, Kirkyard, New Cumnock. Bookmark the permalink. Well done to all concerned Bobby. Very interested in John Findlay Arthur. There is definately a very interesting fellow there. Yes, it was a fantastic day. Many of the tombstones have a story to tell. Sometime even Glasgow Uni can be mistaken. Thanks for visiting. I’ve many happy memories of the Auld Kirkyard. Sadly, many of the headstones have gone and I think fragments of many these may be stacked along the boundary between the lower and upper section. 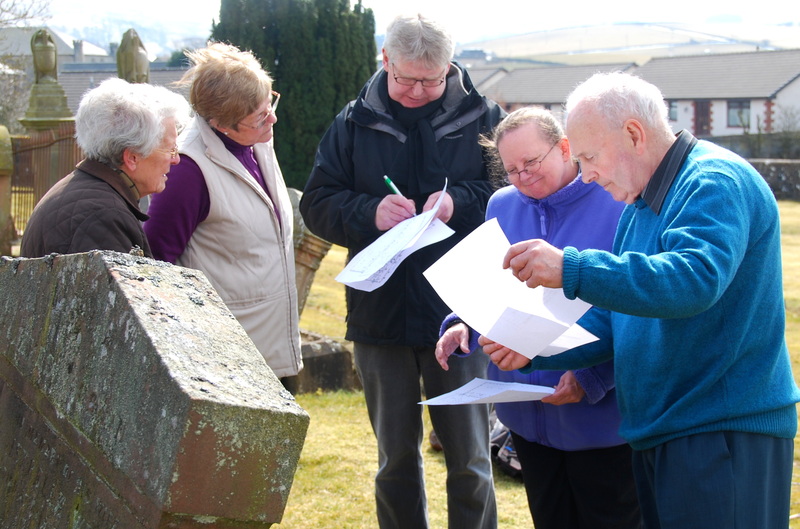 Glad you singled out Andrew Stirling, he will feature as one of the ten headstones selected to feature in the School research – we are in the kirkyard tomorrow – so look out for a report soon after. 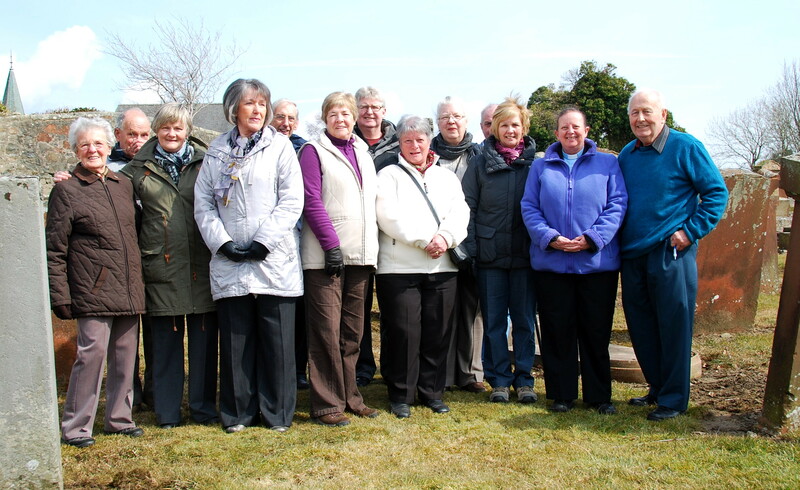 I noticed the wreaths as well and it is important that we recognise that people still visit to pay their respects. 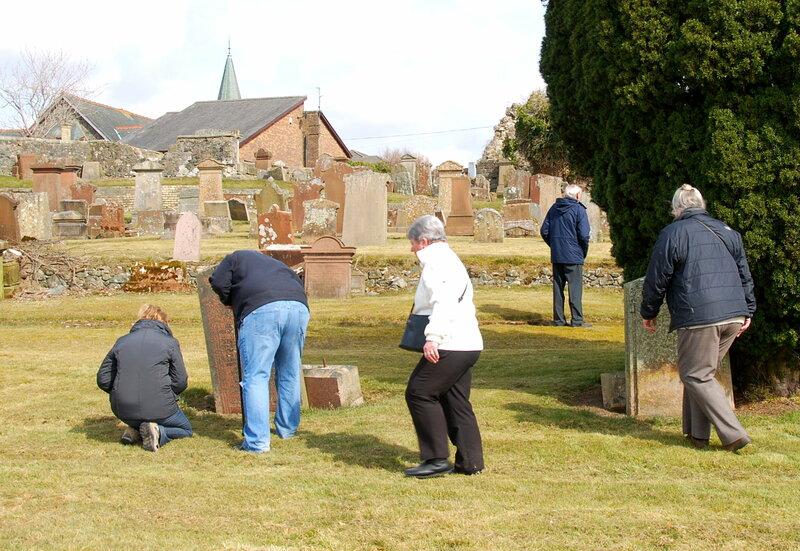 I hadn’t appreciated there are been burials as recently as the 1970s’. 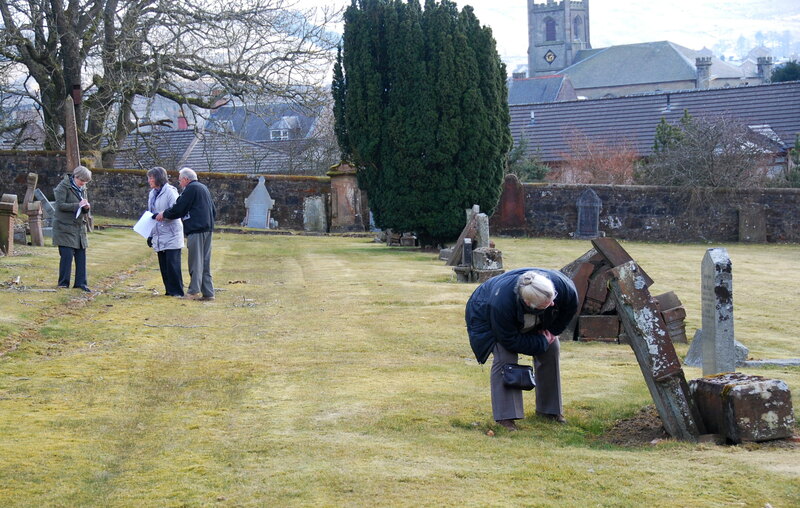 Replacing headstones is outwith the scope of the current funding. 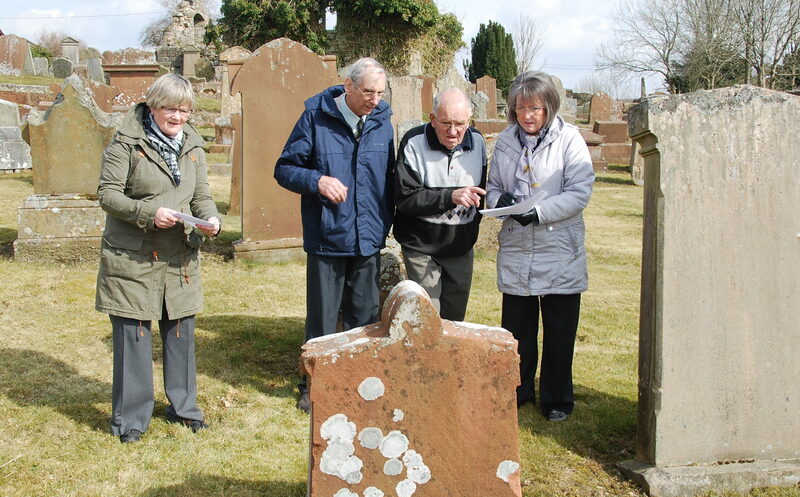 As part of this project we intend to set up a ‘Friends group’ to support maintaining the kirkyard in a decent condition and hopefully the web-site may reach other like-minded folk.